The Fairfield County Museum preserves the history of the county through the collection of significant artifacts and interpretation of the personal stories of its citizens. This digital collection includes bound volumes and family bible records concerning history of Fairfield County. 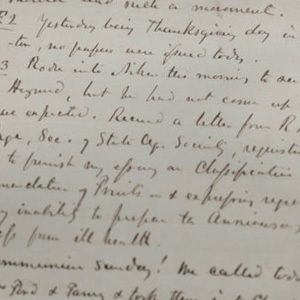 The Fairfield County Museum Manuscript Collection includes letters daing from 1787 through 1854 and includes from Winns, Feasters, McMasters and other prominent Fairfield County families. This collection includes letters from George Hunter McMaster from his grand tour of Europe in the mid-1850s.